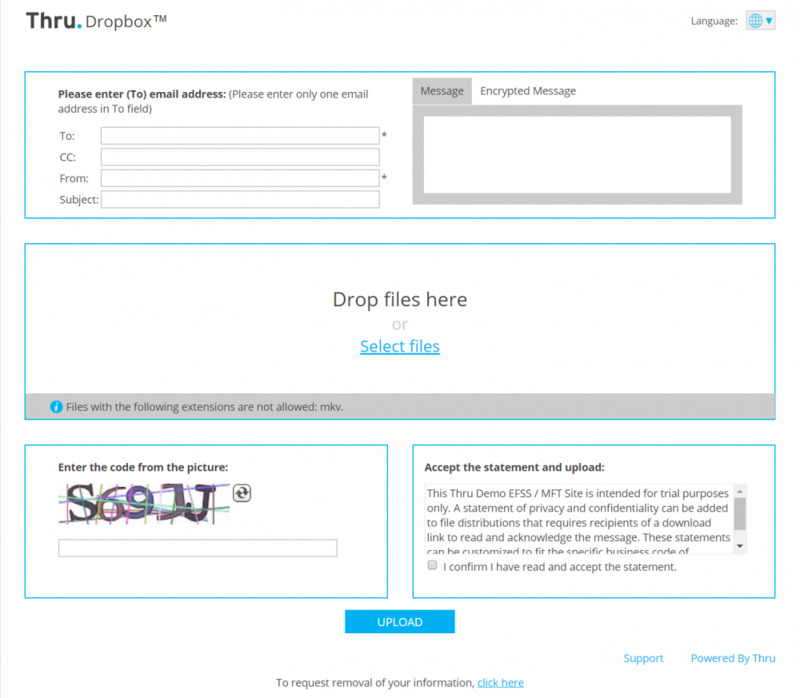 To securely receive large files with Thru from non-registered users, you can create a link to your Thru Dropbox™. This lets non-Thru users securely send files directly into a user’s Thru Dropbox. Substitute the “companyname” text and the email text, “name@companyname.com” shown in the link format above with your company’s Thru site name and your email address. We replaced “companyname” with demo and replaced the email address with name@abctechnology.com. Once you have created your link, you can send it to anyone via email, company websites and portals, etc. When anyone clicks on the Thru Dropbox link, it will take them to a file upload form where they follow the steps to send you files.